Archery in Museum of Medieval Treasures, Waterford. Deidre decided to be daring. 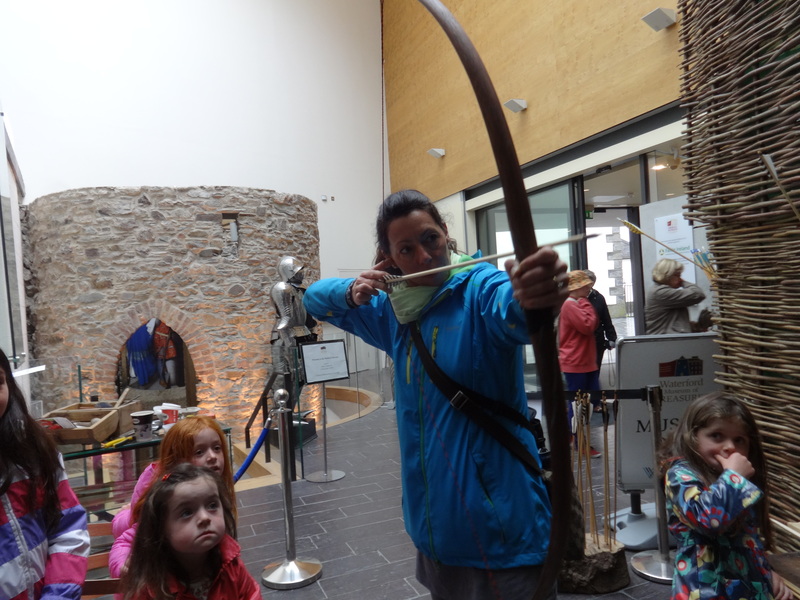 Have a go archery at the Waterford Museum of Medieval Treasures. Learn – or die. I’ve found teaching medieval archery to be a great way to meet people and help develop their self-confidence. Demonstrating ‘Tip – nock – hand – elbow’ to create a straight line to enhance accuracy. Darragh bring home the bacon. 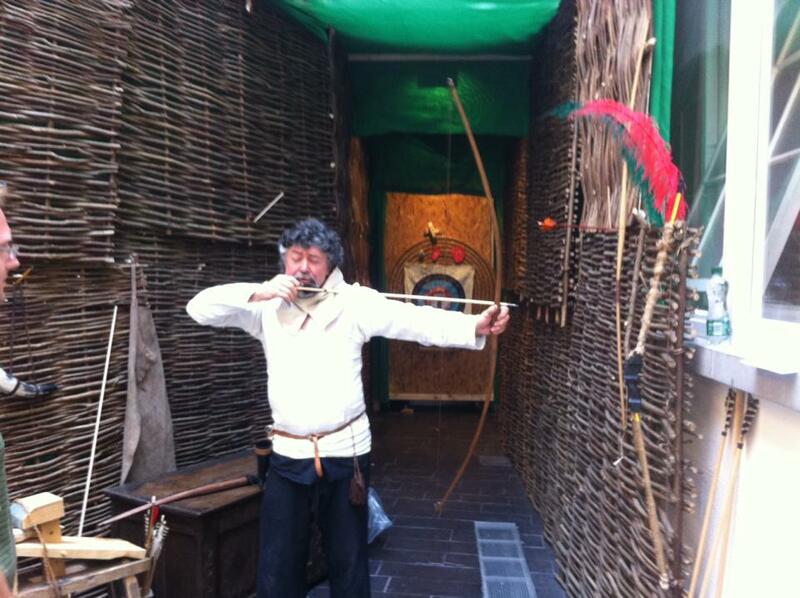 Experience Medieval Archery has been launched within Waterford’s Museum of Treasures. 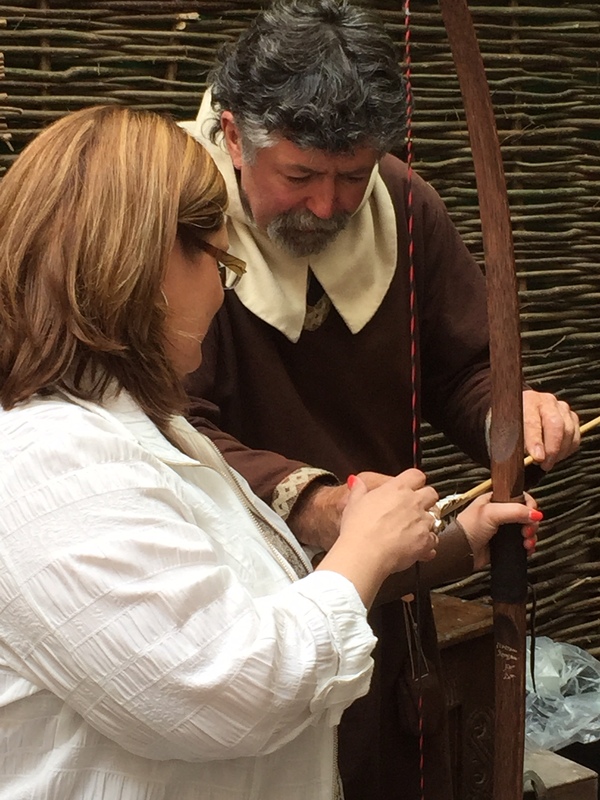 Workshops on medieval crafts and archery. 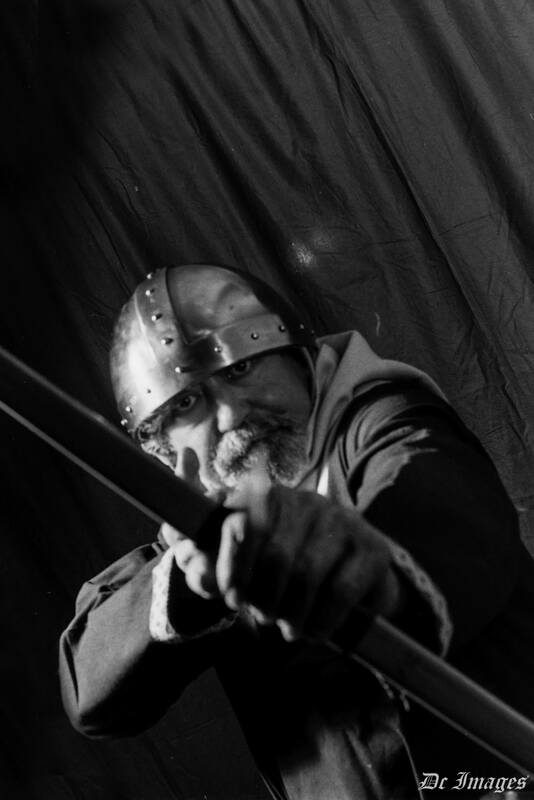 A hands-on active-display where various and changing working-craft areas will be established and the use of longbows (warbows) will be demonstrated and various arrows from bone-head to flint to drop-forged to tempered armour-piercing warheads. After demonstration visitors will be offered the chance to pull a long bow and loose real arrows.And buy bows and accessories. This will be facilitated by the Museum and supported by various other state bodies. The workshop will also continue to tour medieval (Heritage) days, folk-festivals, schools and corporate events that help senior staff bring focus and fun to their work. The whole workshop can be easily moved and set up in an open space where a medieval tent will add colour and protection with professional archery netting to provide safety. Posted in Archery, Eco-tourism, Education, Entertainment, History, Learning, Medieval, Things to do, Tourism, Viking. Bookmark the permalink.